Are you looking for a cognitive enhancer that will help you stay awake and stay sharp? 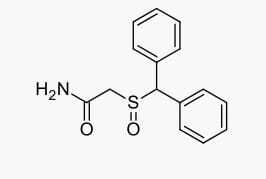 Consider Modafinil. This drug is prescribed to people who suffer from excessive sleepiness because of narcolepsy, sleep apnoea or shift work sleep disorder. 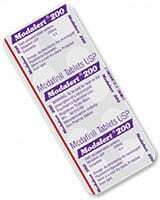 In Australia, it’s available by prescription under the brand name Modovigil. 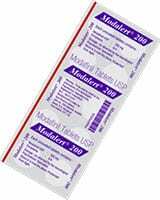 Modafinil belongs to a class of drugs called eugeroics, or wakefulness promoting agents. It has been shown to decrease fatigue, increase alertness and improve cognitive performance. In one study involving healthy, non-sleep deprived adults, it reduced fatigue and improved motivation, reaction time and vigilance. Another study of healthy young adult men showed that Modafinil improves performance on tests of memory and reaction time. Subjects given the drug said they felt more alert, energetic and attentive. In a study of sleep-deprived doctors, Modafinil improved performance on tests involving working memory and planning. Doctors who received Modafinil were less impulsive when making decisions and were better able to redirect their attention. The US Air Force has been investigating the use of Modafinil for keeping military pilots alert during long missions. 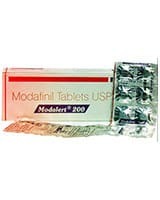 Modafinil has mood enhancing properties, and has been studied as a potential treatment for depression, bipolar depression and seasonal affective disorder. It has been used, off label, to treat ADHD and schizophrenia. Research suggests it could be a treatment for cocaine addiction. It may have neuroprotective effects. Scientists don’t know exactly how Modafinil works. It affects many different neurotransmitters. Research shows it inhibits the release of GABA, which induces sleep, and increase the production of histamine and norepinephrine, which are associated with wakefulness. 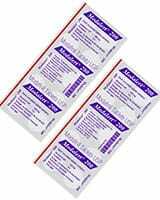 Modafinil also enhances the production of glutamate, an excitatory neurotransmitter that counters the effect of GABA, and increases the brain’s level of dopamine, which affects mood. While both amphetamines and Modafinil increase wakefulness and alertness, their effects are not entirely the same. While both increase dopamine levels, you won’t feel depressed after a dose of Modafinil wears off, as you would when coming off a high from amphetamines. This could be because Modafinil has a weaker effect on dopamine receptors than amphetamines do. Modafinil also differs from amphetamines in that Modafinil doesn’t create sleep debt. When your amphetamine dose wears off, you crash, making up for your missed sleep by sleeping many more hours than normal. When a Modafinil dose wears off, however, you sleep as long as you usually would, probably around seven or eight hours. 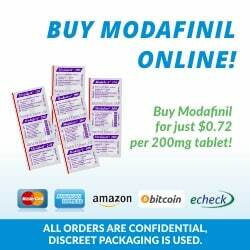 Unlike nootropics, which have few side effects, Modafinil has many side effects, ranging from mild to severe. Milder side effects include headache, back pain, nausea and stomach upset. More serious side effect include extreme dizziness, hallucinations, confusion, depression, anxiety, suicidal thoughts, chest pain, irregular heart beat and difficulty breathing. Modafinil use can cause a life-threatening skin condition called Steven-Johnson syndrome. The recommended dose for treating narcolepsy is 200 milligrams of Modafinil per day. Healthy people who use it as a stimulant and cognitive enhancer tend to take doses ranging from 50 to 200 milligrams. Because Modafinil has a long half life, which can reach up to 15 hours, you can experience insomnia if you want to go to sleep before it wears off. Some Modafinil users need to take a sleeping pill in order to get back to their normal sleep schedule. You may want to take it only a few times a week or on an as needed basis to ensure you get the sleep you need. Originally posted on September 16, 2014, last updated on November 29, 2018. Heather I ordered from them and it arrived in an envelope with no problems! I went with the 30 pack sampler and I really love the low consistent energy it gives me but start slowly-I only take 1/2 pill sometimes even 1/4! I always order from modup, they’re pretty reliable.